A GPS time stamping "bundle" for the USBxCH family of data acquisition boards. 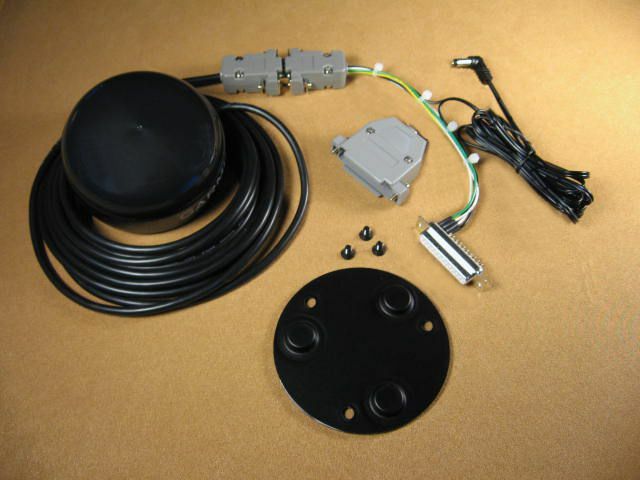 A Garmin GPS 16x HVS antenna is terminated to a 9 pin D-shell and a connecting cable converts from the DB9 to 2.1mm power and a DB25 providing easy connection to the USBxCH A/Ds. Guaranteed 800 nanosecond accuracy. Continuous time and location information. The bundled "in the box" system comes with the accessories you need to start time stamping your data. These include GPS antenna, magnetic mount, and connecting cable. For more detailed specifications, please see the USBxCH and Garmin 16X User Manuals.